Ein Roman aus der vergangenen österreichischen Monarchie. Die historische Kulisse und die Personen sind der geschichtlichen Wirklichkeit entnommen und spiegeln den Aufstieg eines Mädchens zur Kaiserin wider. 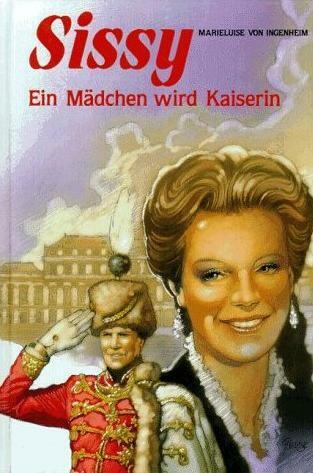 A novel from a by-gone Austrian monarchy. The setting and the people are taken from history and reflect the rise of a girl to Empress. A novel, soulful, subtle and exciting. Within these pages is the flair and splendor of a past empire. Love and happiness, longings and dreams all become real. It reads a little like a princess story, with a twist. Every regular princess story ends with the marriage and the ‘happily ever after’. However, this is where Sissy’s story starts. It shows that the happily ever after is not so easy as one might assume. They way Von Ingenheim wrote this book, makes it easy to relate to Sissy. With everything that’s going on, you can understand why she does what she does. The story is easy to follow and reads very fluently. The book starts with quite a bit of an introduction, which is a little annoying, because we all know she’s going to marry the Emperor (it says so right on the front of the book). It does however give us quite some background information about Sissy and her family, which are nice things to know later on in the story. Even though I know this all happened quite a while ago, it was still a bit of a shock to me to find out that the Emperor and Sissy are cousins (it’s clear from the beginning, so not really a spoiler), who need special permission to get married. On top of that, there’s an age difference of 8 years, which at those ages (16 and 24) is quite a difference! I know back in those things that wasn’t an issue as much, but I still found it a little disturbing to say the least. In this princess story, there is no evil step-mom. Instead, there is an evil mother-in-law, who Sissy (unfortunately) has to live with. This of course, also causes a lot of the conflicts in the book. It’s hard to remember, while you’re reading the book, that this is based on real-life events. Someone actually lived through all these ordeals. It really reads as a story most of the time, making that even more difficult to keep in mind. Because of this though, the ending seems a bit abrupt; more happens after the book is over. It’s quite difficult to find which languages this book has been translated to. So far, I’ve been unable to find an English translation. There are however, several other languages available, mostly Eastern European languages, as well as Dutch. Unfortunately, there doesn’t seem to be any website that has them all listed, not even Goodreads.